Share the post "The 7th Annual GIS Awareness Event Brings Together Students, Faculty and Professionals With a Love of Maps"
The field of Geographic Information Systems (GIS), which essentially involves viewing and analyzing the data in maps, was the focus of the Rutgers-style celebration of national #GIS Day on November 15. 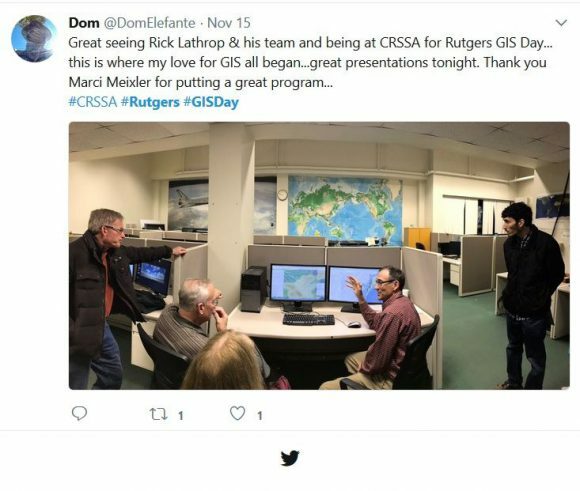 An evening that was ‘all about maps,’ the 7th GIS Awareness Event at Rutgers included lightning talks–less than 10 minutes–with speakers representing a variety of national and regional public and private organizations focusing on geospatial analysis. 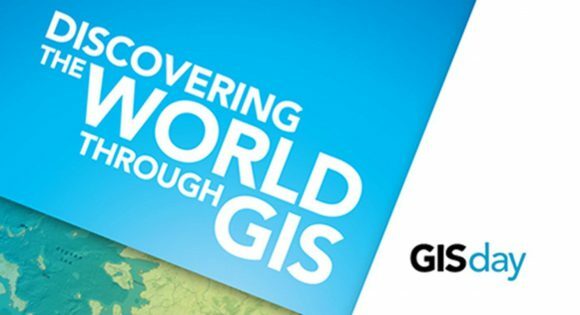 Topics focused on emergency response tools, mapping the exotic pet trade, real world geodesign examples, GIS in international locations (Belize and Brazil), ESRI (Environmental Systems Research Institute) crowdsourcing apps and careers in GIS, among others. Organized by Marci Meixler, assistant professor in the Department of Ecology, Evolution, and Natural Resources (DEENR), the event was sponsored by DEENR and the Department of Landscape Architecture and hosted at the Grant F. Walton Center for Remote Sensing and Spatial Analysis (CRSSA). 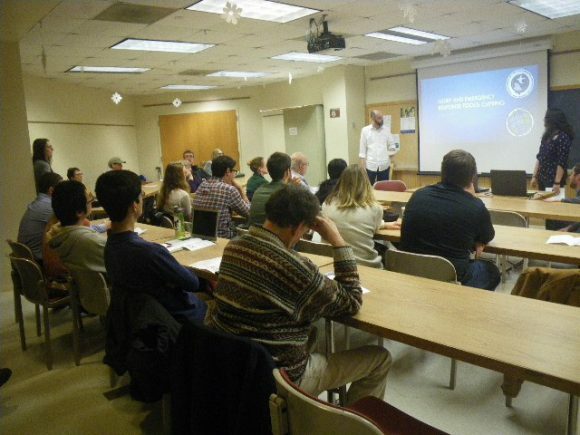 Students from Meixler’s “Intermediate Environmental Geomatics” class helped to organize and moderate the event, and also participated as speakers. The annual event, which has generally drawn attendance of approximately 100 people, including GIS professionals, faculty students and members of the public, has sought to attract more youths. “Starting a few years ago, we began to include teachers and students from regional high schools, in an effort to introduce the concept of GIS to a younger crowd,” explained Meixler. 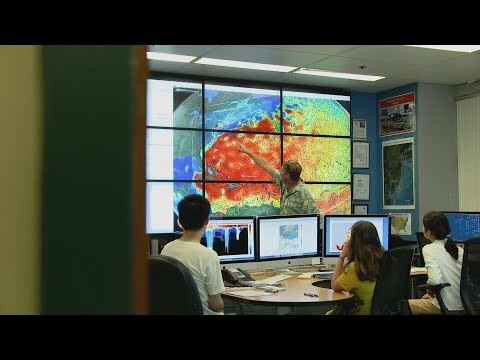 Among the graduates of the environmental geomatics program that presented a talk was Eden Buenaventura, who graduated in 2016 with a bachelor’s degree in ecology, evolution, and natural resources and a master’s degree in 2016 in ecology and evolution from the Rutgers School of Graduate Studies. She currently works at the Bureau of GIS at the New Jersey Department of Environmental Protection. Following the talks, Rick Lathrop, director of CRSSA, led a demonstration of GIS tools, including 3D and floodmapping software. A participant showed his enthusiasm for the event, and SEBS faculty members Lathrop and Meixler, in a tweet. There was ample opportunity during the pre-event dinner and post-event dessert gathering for participants to view the poster presentation and to network with GIS professionals. “Many of the undergraduate participants are working on a certificate in Geomatics and were able to network and connect with professionals with potential job openings,” said Meixler.